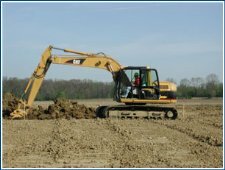 Heavy Equipment/Site Construction introduces students to all aspects of preparing a site for building. Students will learn to read blueprints, survey and stake out a project, grade the land, put in sanitary sewers, storm sewers and water lines. Students learn how to cut sub-grade for roads and curbs, how to put in electric crossovers and finish grading to complete the project. The Heavy Equipment/Site Construction program is certified by the National Center for Construction Education and Research. A $3,000 Tech Prep Scholarship through the Miami Valley Tech Prep Consortium to Sinclair Community College is available to students who meet the eligibility requirements. 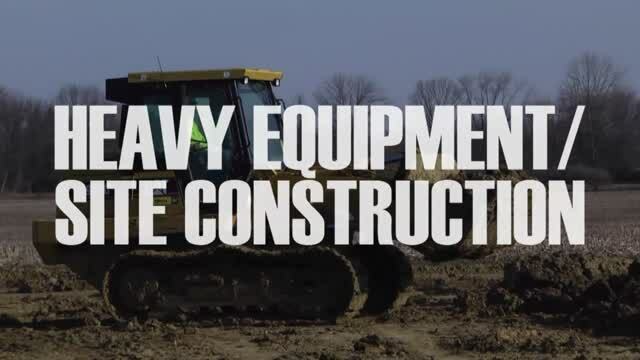 Heavy Equipment students participate in SkillsUSA, a partnership of students, teachers and industry, working together to ensure America has a skilled workforce. All students also have the opportunity to participate in the Tech Prep Showcase through the Miami Valley Tech Prep Consortium. Contact Instructor Mike Wolf at 513-932-5677 ext. 5251 or mike.wolf@mywccc.org.